At LD Davis, we pride ourselves on being an educational resource for our customers, our prospects and the community. 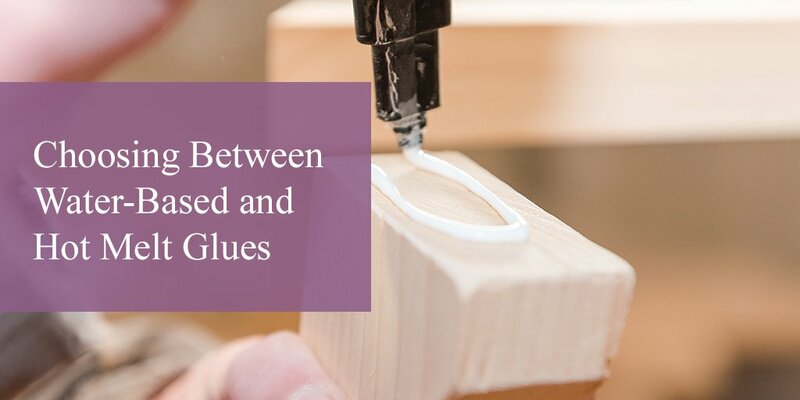 Our blog is a helpful learning tool for those wanting to know more about glue best practices, news in the industry and simple answers to common glue questions. Hear it straight from the experts in every post. Adhesives are used virtually everywhere in the manufacturing world to keep things together. When trying to bond surfaces, having a reliable adhesive makes all the difference. With so many options available for commercial adhesives, how do you know which is the best for your project? Each type of adhesive has its own unique characteristics that may make one more suitable than others for your current application. Keep reading to learn more about the advantages of each type of glue and find the best choice for your project! Commercial water-based glue, also known as white glue, is used in a wide variety of applications. While the appearance of water-based glue might initially remind you of arts and crafts, this industrial strength glue has a firm hold on modern industrial manufacturing. In comparison to other glues, water-based adhesives have a lower VOC (volatile organic compound) content, making them safer and more environmentally friendly to use. An added bonus: water-based glues make for easy cleanup and have very little odor! Modern water-based adhesives are quick and easy to apply—no heating or mixing required! Unlike solvent-based glues, water-based adhesives won’t clog as they dry, meaning they are suitable for rollers, spray guns, and immersion dips. Water-based adhesives are less expensive to produce and require less safety equipment, such as additional ventilation to remove VOC vapors. Water-based adhesives can be used on virtually any porous or semi-porous surface, including materials like paper, cardboard, plastic, wood, metallic film, and both natural and synthetic titles. 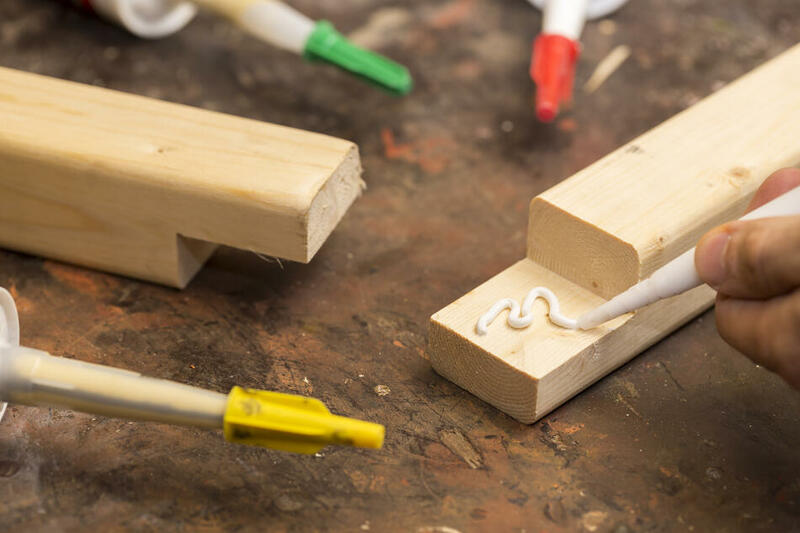 Popular uses for white glues include packaging, bookbinding, rigid box manufacturing, wood bonding, laminating, graphic arts, food and beverage packaging, general assembly applications, and case and carton sealing. Hot melt adhesives are polymer-based glues that contain no solvents or water. Their rapid drying time and extreme bonding strength make them one of the most versatile industrial adhesives available. Hot melt glues dry exceptionally fast. Depending on your application, you can use waxes, plasticizers, and diluents to vary the opening time, flow, and viscosity of the glue. Known for forming an aggressive bond, some types of hot glue, like PUR (polyurethane reactive glue) can create a bond strength of up to 1,000 lbs. 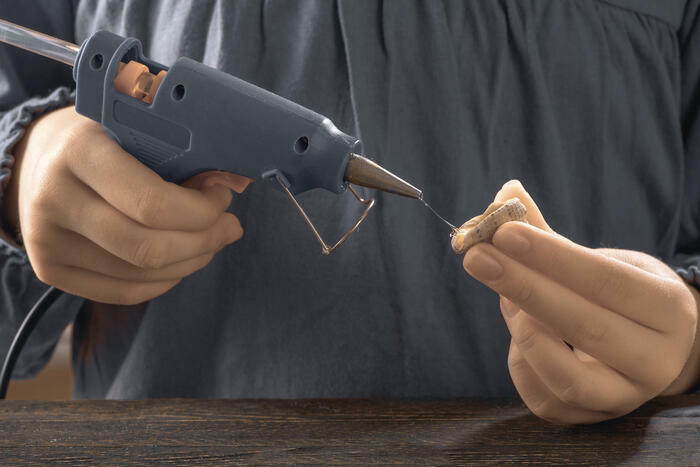 Once the glue is set, hot melt creates a permanent hold. Hot melt glues are generally flexible as well, making them great for heavy-duty applications. Hot melt adheres well to a wide selection of surfaces, including hard-to-bond, nonporous substrates. If you’re having a tough time getting things to stick, it might be time to pull out the industrial hot glue! Due to its versatility, hot melt is used for a variety of manufacturing purposes, including bookbinding, packaging, woodworking, and construction. Hot melt is generally applied with an applicator, so no mixing is required! The glue can also be applied at higher or lower temperatures depending on your application, making it possible to work both indoors and outside. Need Help Picking the Right Type of Glue? Still stuck on what type of glue to use for your latest project? Ask the adhesive experts at LD Davis!